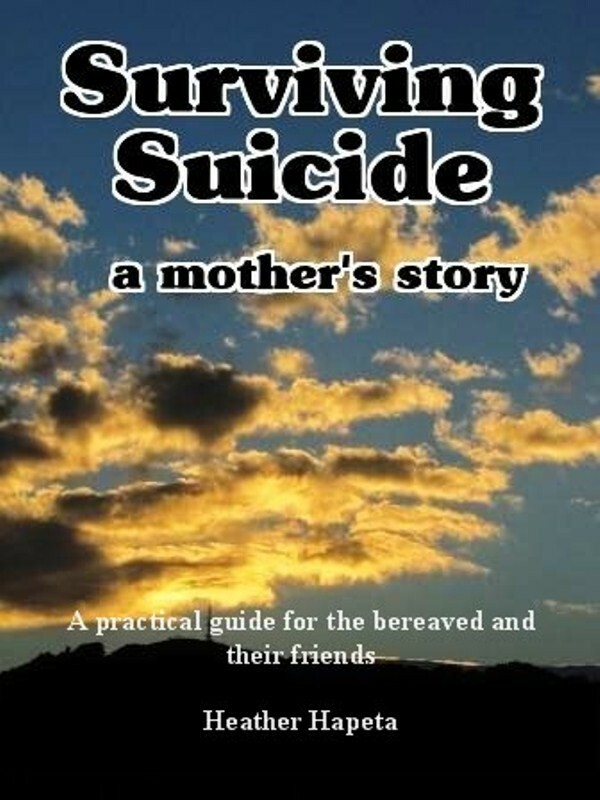 I used to think my mother was so brave when, holding my hand, she stepped out into the middle of Colombo street to board the tram. I was excited and scared at the same time. A few years ago I took my mother on a tram trip – in the restaurant car: she was delighted with the silver service and delicious meal. Seems my family history with trams goes back even further as I have a tattered photo of my maternal grandfather laying, or repairing, tram tracks in the mid-1930s: a photo that had appeared in the Christchurch Press. It’s only a few years ago that I always had an annual pass for the tram as, living in the inner-city I rode the tracks frequently – especially if it was raining or I was carrying my groceries and vegetables. 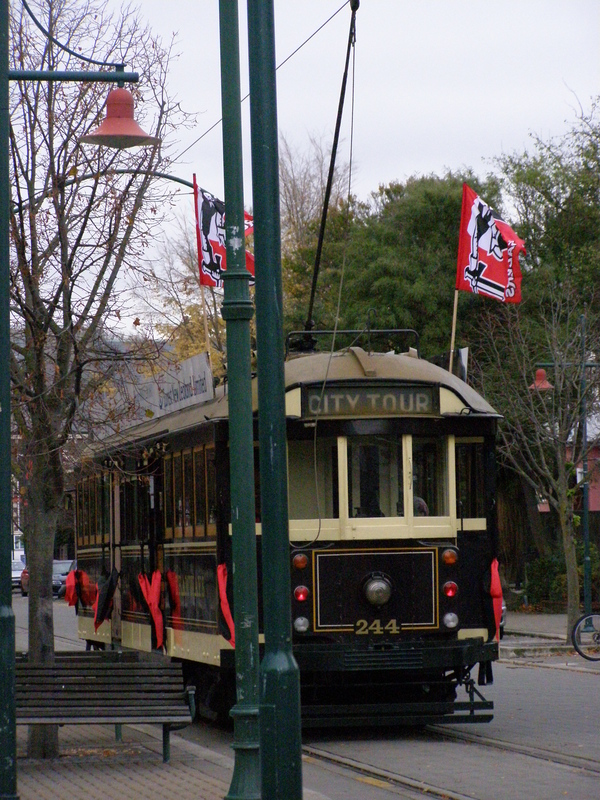 Trams removed were from Christchurch’s streets in the mid-1950s, but returned in the mid-90s, mostly as a tourist attraction – back then, and during my travels on this trip, even as a local I enjoyed hearing the history of places we passed. Unlike many places around the world, taped commentary are played: here the drivers, or motormen as they are correctly called, speak freely about the city’s history and add their own personal touches. I hope this never changes as it makes these tours unique and personal. 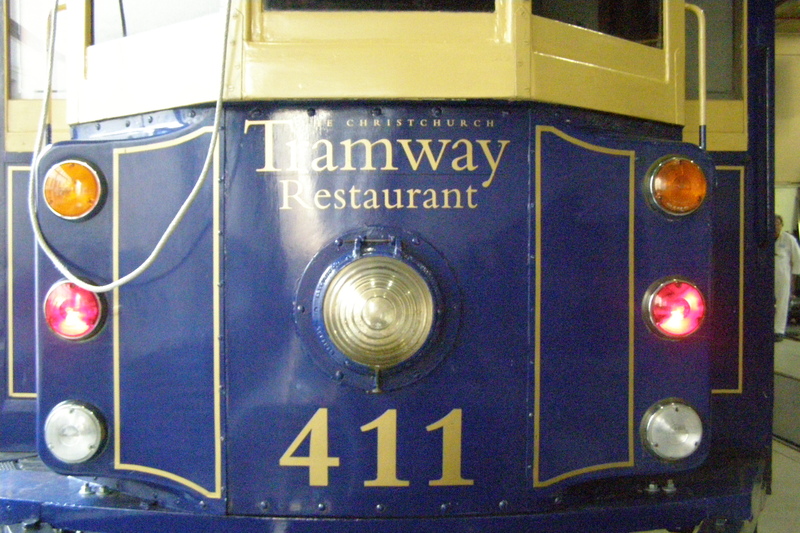 A travel writing friend of mine, Roy Sinclair, has been a tram driver here and provided historical context for the other drivers – he also tells me that the training is comprehensive. It appears trams are simple vehicles, with a control to go, and a brake to stop, however, learning to drive them smoothly is not always easy, nevertheless it seems there are bonuses with the job. I recall one who used to recount his 15 minutes of fame when he co-starred with Kate Winslet in the 1990’s film Heavenly Creatures. As he said, ‘three days of work and I made it onto the film for about three and four seconds! These motormen come from a range of backgrounds including; an economics professor, musicians, school principals, bank managers, and of course Roy Sinclair, an author. 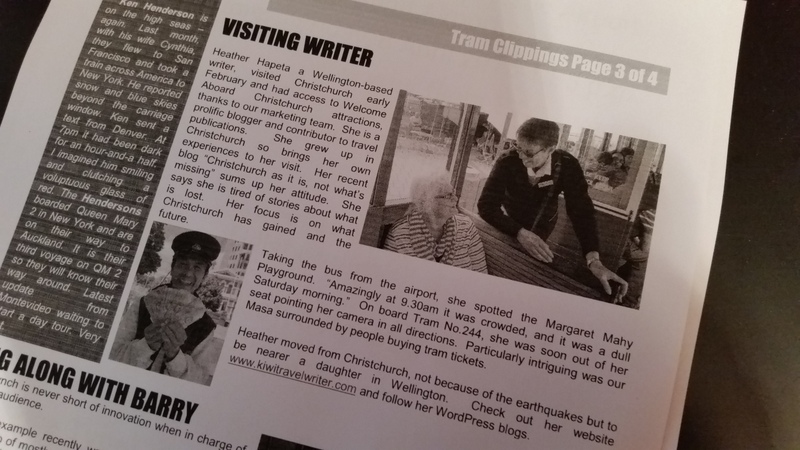 On my most recent trip back to Christchurch (February 2016) I was a guest of Welcome Aboard with a combo ticket to travel on the tram, gondola, punting and the delightful, and informative Caterpillar Tour in the Botanic Gardens – all of which will appear in another blog. Now, let these photos tell the story of our trams. 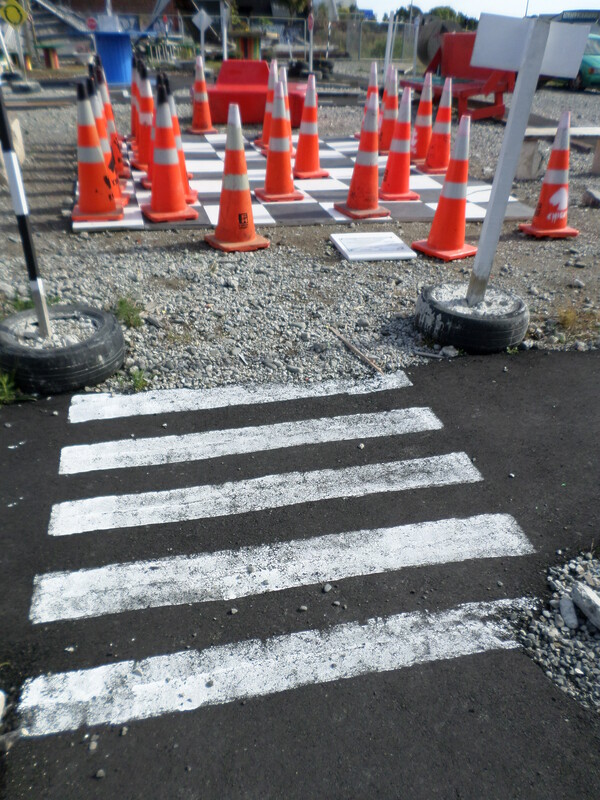 Christchurch as it is … not what’s missing. 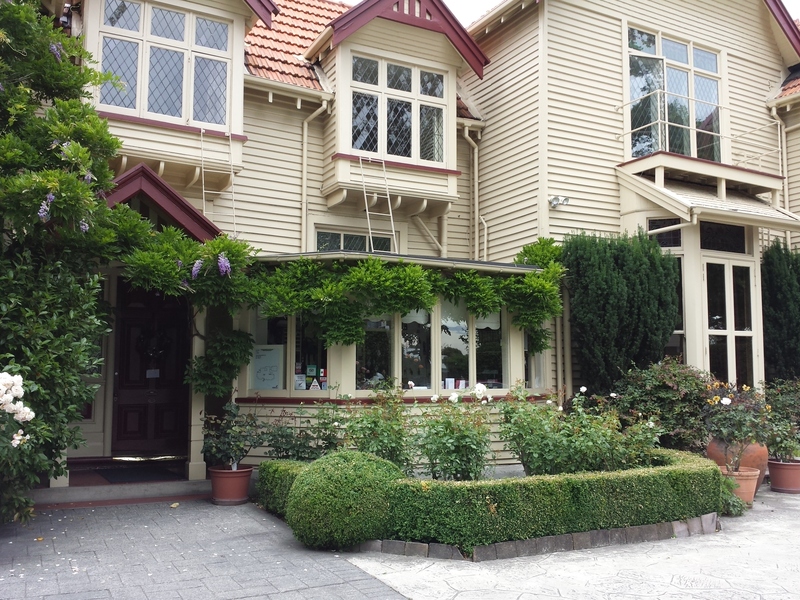 My family emigrated to Christchurch between 1853 and 1872: thats all my family – both my maternal and paternal sides. That’s some pretty deep roots in the land, undiluted by any later migrants. That being so; you could think I would be upset at the changes caused by the 2010/11 quakes and of course I was and am. But I’m more upset at the articles and blogs written by people who insist on writing about what the quakes destroyed and not about what the city has gained or what is still there. So, tomorrow I’m off down to Christchurch to write about the city and have ten days exploring – blogs will follow but in the meantime follow me on Instagram and Facebook and see what I’m doing! 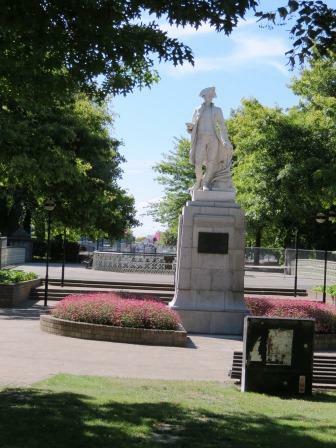 Here’s one of the great Christchurch sculptures – Kate Sheppard one of our local hero’s who helped all New Zealand women gain the vote in 1893. 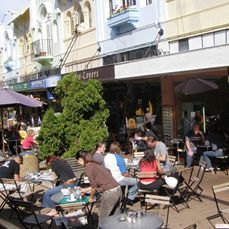 Happy anniversary Christchurch – you’re doing well! 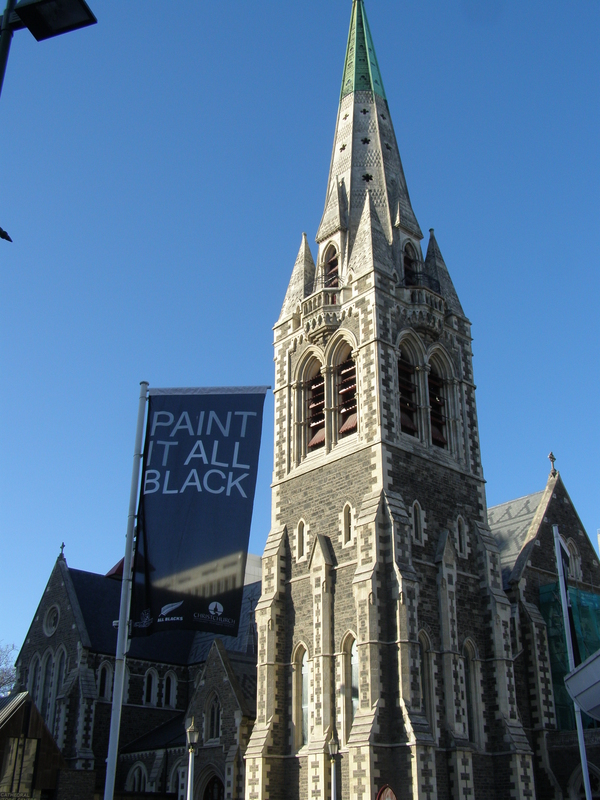 Christchurch Heritage: in both name & history! A pre-quake photo I took on a day I was having a day spa here! Passing this info on: wonderful news as yet more of Christchurch resumes! 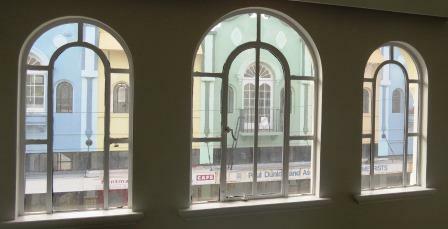 "Heritage Christchurch opened its Old Government Building (OGB) doors on 1 August with a ‘soft opening,’ as the century old iconic building sparked to life again. "I am absolutely delighted to be back in Christchurch in Cathedral Square, the heart of Canterbury. Like many of the team here, I feel very privileged to welcome guests to such an elegant building of great historic significance and be part of the rebuild and future of this great city,” says Vicki Bretherton. 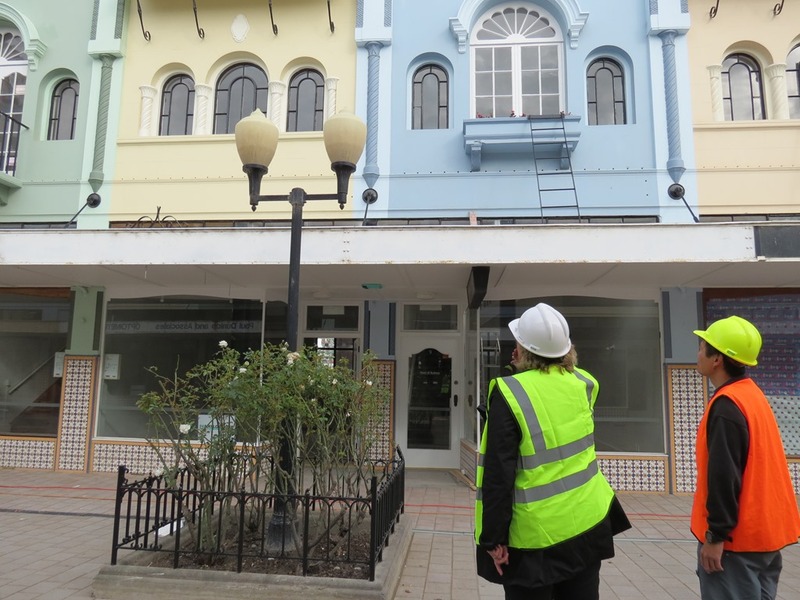 Almost all the hotel staff are Cantabrians, including Sarah McIvor, front office duty manager who having left for Australia after the February 2011 earthquake, returned when she heard the Christchurch CBD was reopening. 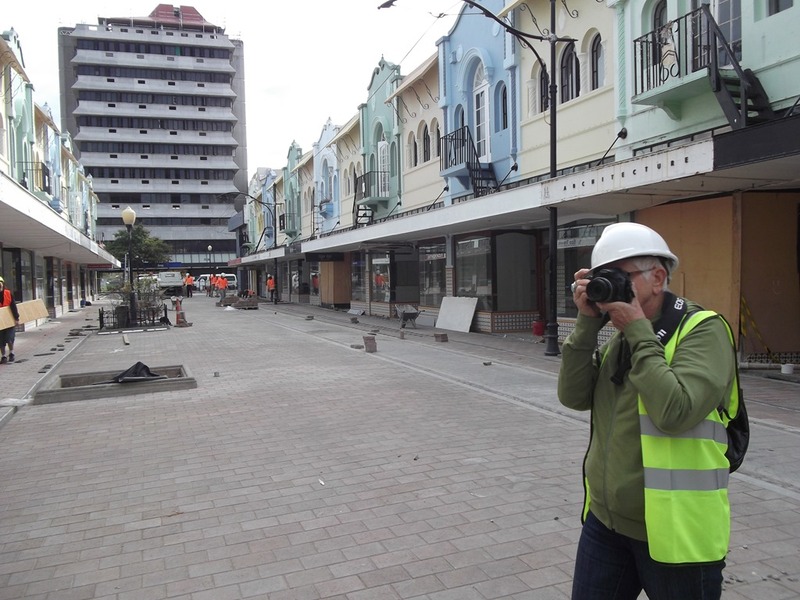 “The reason I returned to Christchurch was to be part of the rebuild. When I heard the CBD was opening I dropped everything and got on the first plane back from Australia. Becoming part of the team reopening this amazing hotel is magic,” says Sarah McIvor. Gary Jarvis the general manager of Heritage Christchurch for the past six years, which included two years of overseeing the extensive refurbishment of the grand Old Government Building, has been promoted to group operations manager for Heritage Hotel Management. 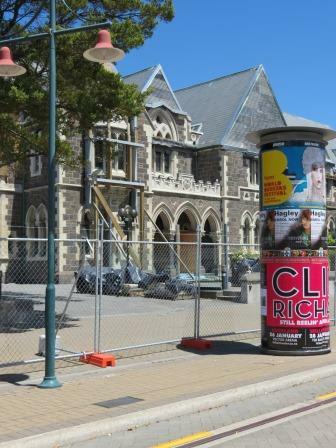 “Heritage Christchurch’s restoration has been a labour of love and I am personally delighted it has worn the test of time and seismic events to remain a vital part of Christchurch’s priceless heritage,” says Gary Jarvis. The 100 year old OGB building, designed by Joseph Clarkson Maddison, is registered as a category one building on the Historic Places Trust register and has been described as of ‘monumental significance’ by architectural heritage experts. 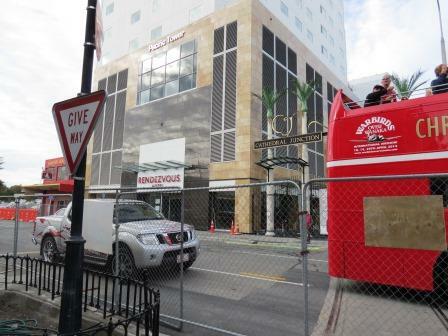 The Heritage Christchurch, first opened in 1996 as a luxury hotel, was relatively unscathed in the 22 February 2011 earthquake, but remained inside the imposed red zone cordon for over two years whilst renovation plans were finalised. The Heritage Christchurch’s Old Government Building will be formally reopened on Friday 20 September by His Excellency, Lt Gen The Rt Hon Sir Jerry Mateparae, GNZM, QSO, Governor-General of New Zealand. 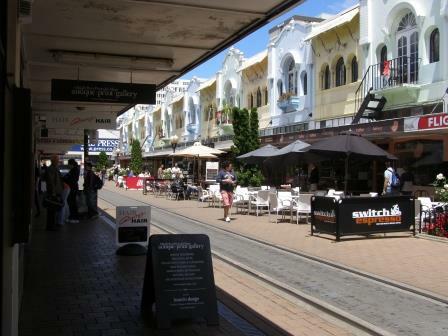 It’s great to see Christchurch, New Zealand, reviving with more and more of the post-quake city open. 1932 was a big year in Christchurch – Captain Cook’s statue was unveiled; there was a bitter train strike; the McDougal Art Gallery was opened; and New Regent Street opened – a double row of Spanish Mission style shops that were a huge change from the usual Gothic Revival and Queen Anne styles that most of the earlier inner city buildings had been built in. Now, post quakes,(2010/11) Captain Cook’s statue is still standing in Victoria Square, the McDougal is still open in the Botanic Gardens, there are no strikes , and fabulously, New Regent Street has re-opened. 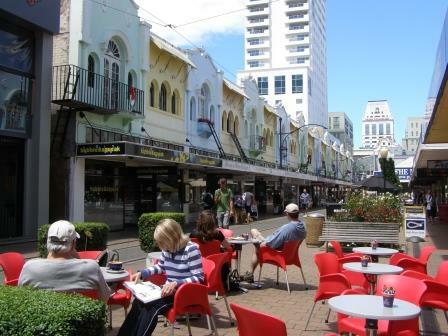 As New Zealand’s only street built at one time, in one style, it was considered a theatrical oddity among the staid buildings that surrounded it. Now, th ose buildings are mostly gone but this colourful street is once again open and although not all shops are open, yet, this is once again a tourist, and locals, destination hotspot. One shop that opens this Saturday (27th April) is also a quake survivor – BEADZ UNLIMITED – formerly at the Arts Centre which is closed for quake strengthening and repairs and, appropriately, one of their many products are the commemorative series which includes the original, the “broken cathedral,” and now also features the Basilica, the Arts Centre and other Christchurch favourites. 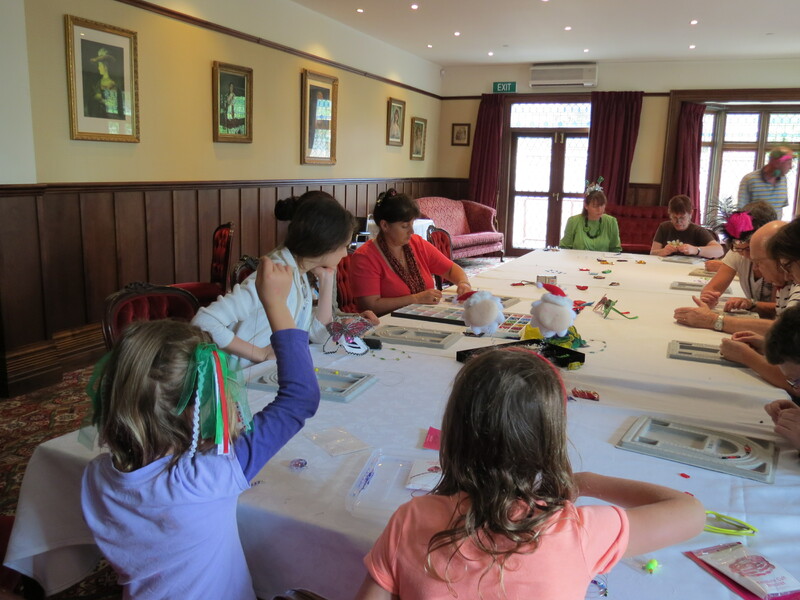 Rowena Watson started Beadz many years ago and it has grown from a market stall to being New Zealand’s first bead shop. A talented designer, she also designs many of her original beads and creates beautiful jewellery. 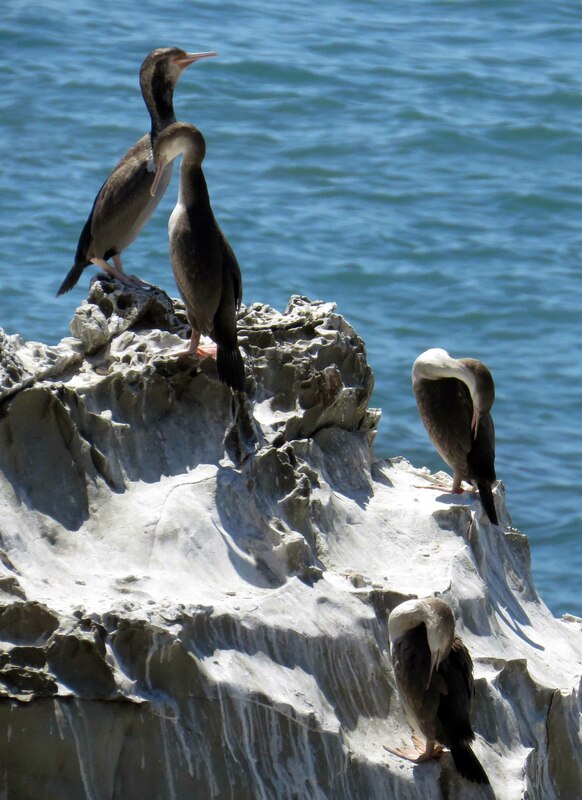 So whether you want to make your own souvenir of Christchurch, New Zealand, or buy a gift, tourists and locals will always find something here. See here for other shops open (or opening) in colourful New Regent Street and use this map to find out what’s open in Christchurch. 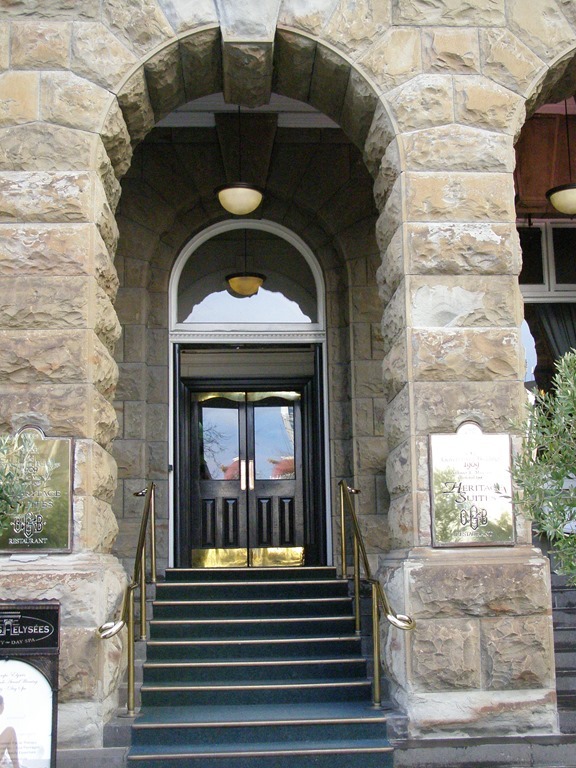 Rendezvous Hotel at the end of New Regent Street opens too. Meet you for a coffee? 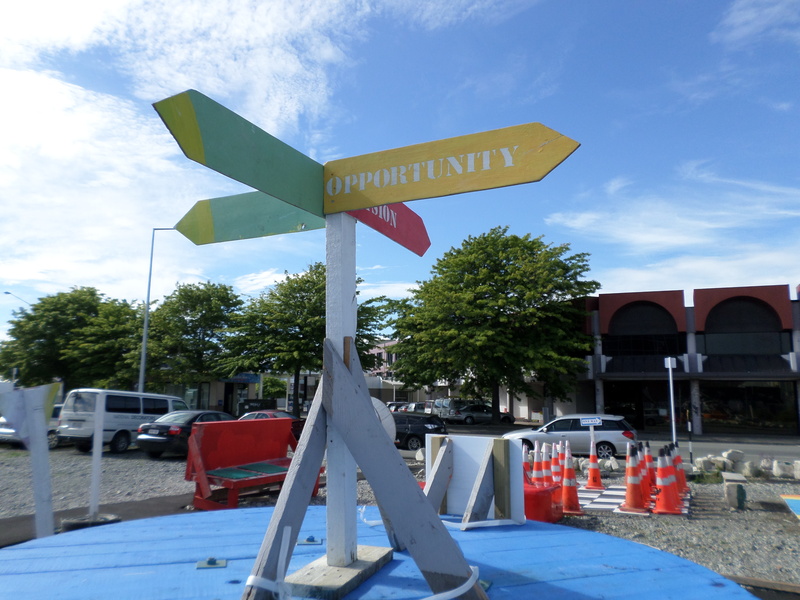 On one of my regular trips to Christchurch last week – using my preferred rental car company New Zealand Rent a Car – it was good to see even more progress in the city. Every time I’m there I’m happy to see the cordon has been reduced and the the city full of people. 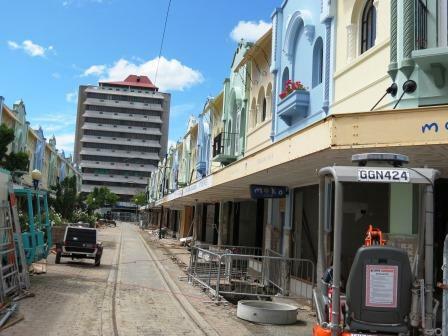 One of the exciting new developments is to see New Regent Street is on the verge of re-opening. This pleases me as this historic will be the first shopping precinct to RE-OPEN in the city centre. My next blog will be about New Regent Street in detail but wanted to give all locals and travellers a "heads up" about this exciting news. This is me checking out the progress! 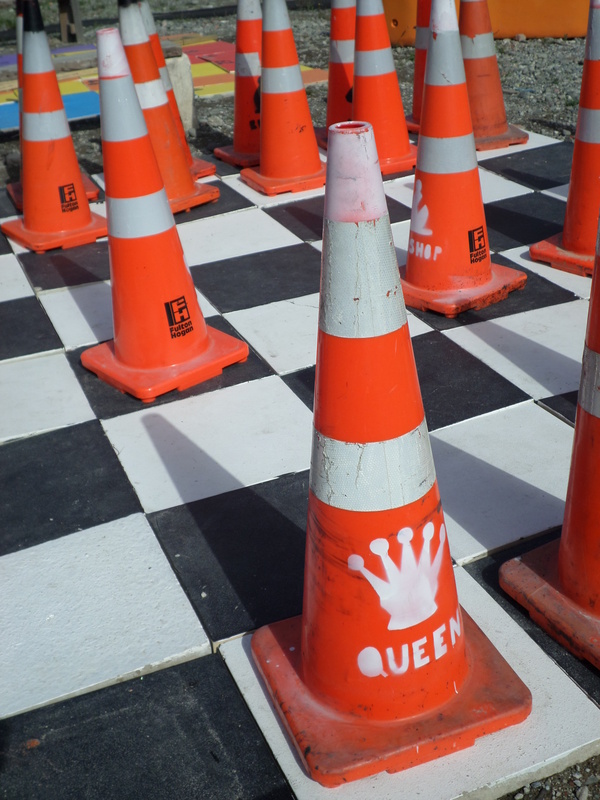 While in Christchurch I recommend you use this online map – What’s Open provides the most comprehensive guide to What’s Open in Christchurch, NZ. Very handy! Here are some things that caught my eye as I travelled around Christchurch recently – they are in order of being taken and even if you can’t see it they show Christchurch rising and are presented here with love to the city of my birth and where I lived for most of my life!